You can fight traveler’s constipation or diarrhea by following your normal diet and exercise routine, drinking plenty of water and getting rest. Sometimes, when you’re traveling, it’s easy to fall into bad habits that can lead to digestive system problems such as constipation or diarrhea. There are a lot of habits related to comfortable bowel movements. 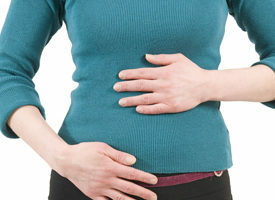 Just a change in your eating habits or what you drink can affect your digestive system. Even a change in the bathroom that you use that isn’t your own or is public can cause anxiety for some people because it takes them out of their regular routine. Thus, maintaining your regular eating and drinking habits as much as possible while traveling or staying in a new place is the best way to maintain regularity and avoid or treat constipation and diarrhea. 1. Drink plenty of water and clear fluids. This may not completely relieve constipation if you have it, but it can at least soften stools so they are easier to pass. One of the causes of constipation is dehydration, so drinking water, fruit juice or clear liquids will keep you hydrated. Avoid drinking a lot of alcoholic or caffeinated beverages, since both also dehydrate you. 2. Eat enough fiber. Make sure you eat high-fiber foods such as dried or fresh fruit, fresh vegetables and whole grain crackers, cereals, beans and bread. Remember that the recommended amounts are 2 1/2 cups of vegetables and 2 cups of fruit every day. You can carry things for breakfast such as flax seeds or high-fiber cereals, so that you have a healthy breakfast and get plenty of fiber. 3. Avoid low-fiber foods. Vacations are meant to be fun, but if you can, avoid excessive amounts of low-fiber snack foods and desserts such as candy, cheese, pizza, processed foods, chips and ice cream. They can make your constipation worse. Sometimes it’s hard to maintain your dietary routine on vacation. You may not eat the healthiest foods, and you may eat on the run a lot more when you’re traveling, so that can also result in constipation. 4. Exercise and stay physically active. Keep your body moving so that your digestive system keeps moving. Schedule stretching breaks, especially if you’re in a car, plane, bus or train for long periods of travel. Hike, bike or swim when you can. 5. Get plenty of rest. Sometimes people don’t sleep as much on vacation, and that can throw off your system. 6. Don’t ignore your body’s signals. If your body is telling you to go to the bathroom, don’t put it off because you’re only near a public restroom or don’t want to interrupt your sightseeing. If you ignore the urge, it can lead to or worsen your constipation. 7. Plan for bathroom breaks that match your routine. Try to maintain your schedule, if you always use the bathroom at a certain time of day. If you’re concerned about using public bathrooms, try to give yourself time to relax and make yourself as comfortable as possible. Read a newspaper or magazine to relax or listen to music from your phone or other device with ear buds. If you don’t have a bowel movement for ten minutes, move on and try again when you feel the urge. 8. Use laxatives wisely. If diet and exercise don’t help your constipation on the trip, take a laxative. However, use them wisely and only for a short time. You want to avoid making your body dependent on them. If you’ve had a problem with constipation while traveling in the past, you may want to prepare ahead of time by taking a stool softener or bulk-forming laxative before you travel and bringing some in a travel medical kit. Eating something that has bacteria in it or drinking contaminated water can give you diarrhea when you travel. But sometimes, changes in your regular diet, exercise and bathroom routines (the same things that can cause constipation) are to blame. For diarrhea, you should always pack an over-the-counter or prescription medicine to help you treat it. But the best advice is to eat and exercise like you always do. Traveling is a time to watch your diet and other routines more, not less.